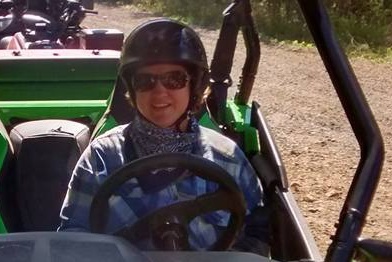 Denise Erickson has worked for the Ontario Federation of All-Terrain Vehicle clubs (OFATV) for the past 3 years and has recently been promoted to General Manager. OFATV currently has over 4000 kilometers of trails and 17 member clubs across Ontario with more to come. To help fulfill the safety mandate that OFATV has, Denise became certified as a CASI ATV instructor and a ROHVA UTV/Side by Side instructor. Denise has an Executive Degree in Business Administration and also a Degree in Counselling. She has lived and worked internationally in Cameroon, West Africa. While there she spent 4 years running and co-parenting in a hostel with 12 high school aged students from all over the world. If that wasn’t enough to keep her busy, she also taught part time at Rain Forest International School. Denise has spent over two decades in volunteer organizations and understands the uniqueness, and importance of volunteers and their dedication. With a strong desire to see better interaction between off-road powersports she is driven to see more multi-use riding opportunities.